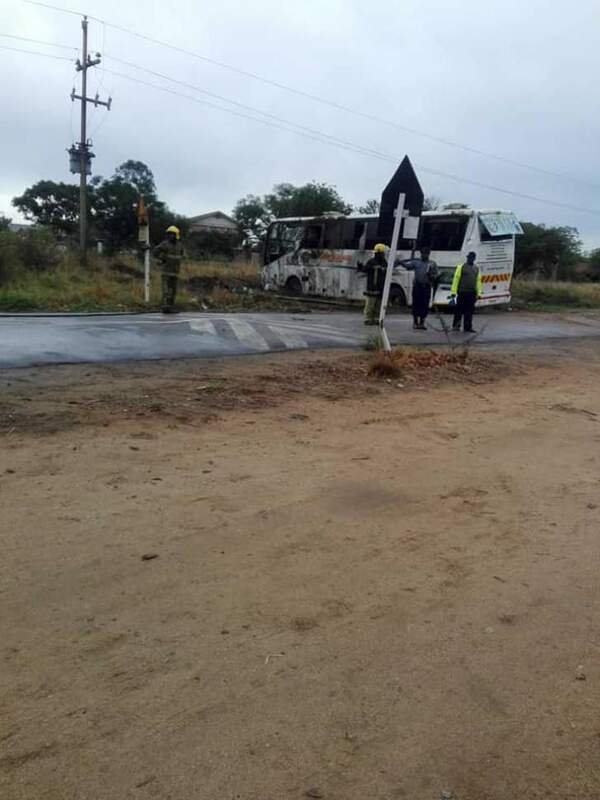 ZIMBABWE’S DAILY ACCIDENTS: Tatenda Safaris bus with Hwange Roman Catholic Central Choir group heading to Gweru, crashed this morning ( Saturday) close to Bulawayo’s Mpilo Hospital and . 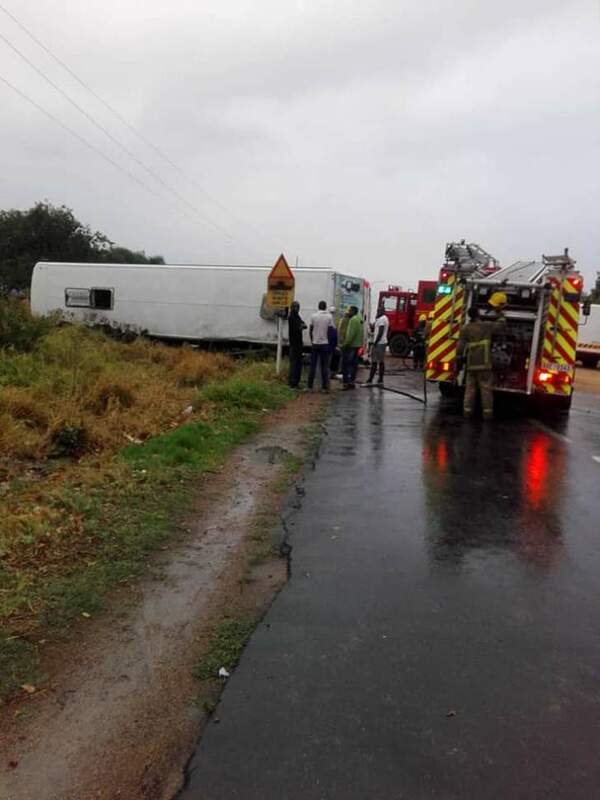 Members of the fire brigade were quick to attend. We will update the public on the injuries involved. 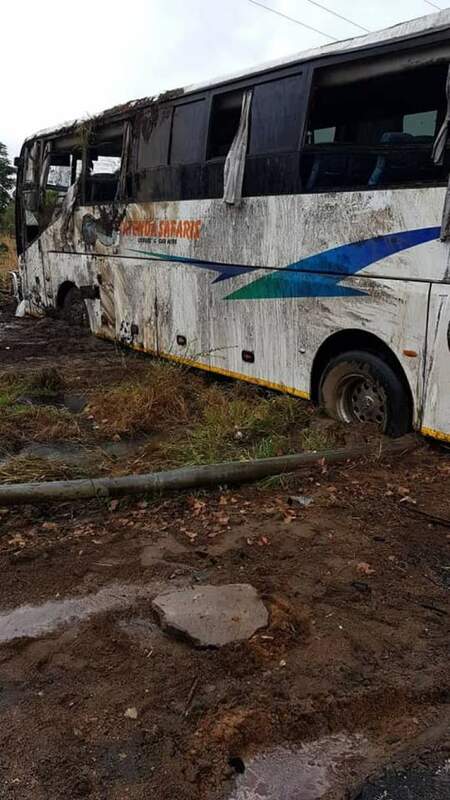 It is unfortunate that, Zimbabwe is currently having countless major incidences and accidents, including bus fire, bus head on collisions, plane crashes and today another bus accident. More news to follow. By Sibusiso Ngwenya.